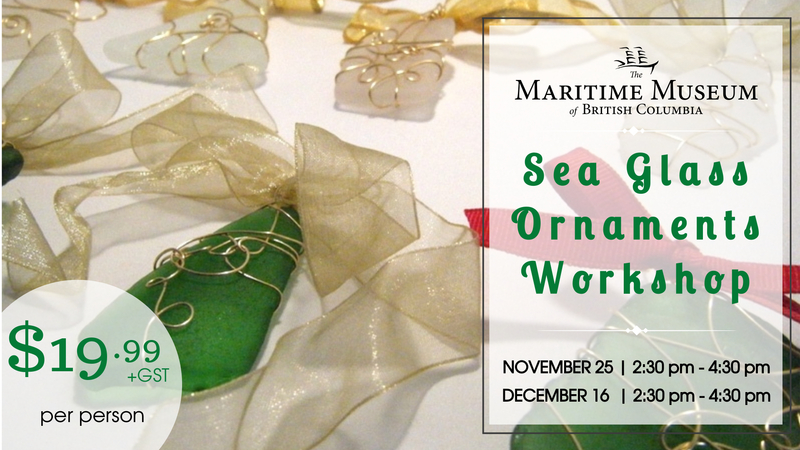 Decorate for the holidays with sea glass and learn more about local beaches at the Maritime Museum of British Columbia’s Sea Glass Ornaments Workshop! 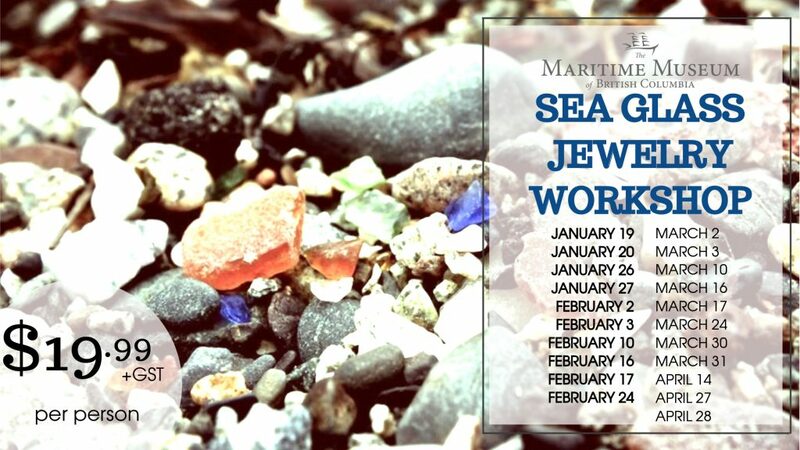 Our workshop leader will guide you through the process of various wire-wrapping techniques to make beautiful sea glass ornaments, while sharing stories of some of British Columbia’s local beaches and the legends of “mermaid tears”. All supplies are provided and your ticket includes admission to the Maritime Museum of BC (valid for 24 hours).